LASC > Resources > Resources For Teachers > Environmental Issues in Latin America > Activity 3: Against the Mine! Activity 3: Against the Mine! To practice reading and to highlight connections and differences between resistances to extractive industry in Ireland and in Latin America. 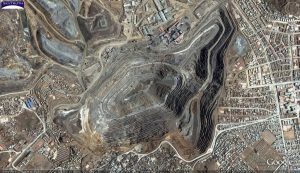 Article about the Yanacocha gold mine in Peru (here). Article about the Sperrins mine in Co. Tyrone (here). 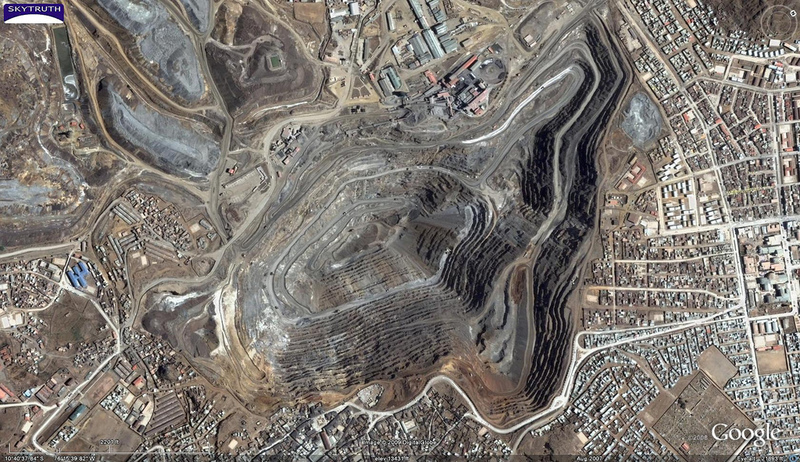 Aerial view of the Cerro de Pasco Mine in Peru. One group of students will read the text about Maxima Acuña and the Yanacocha gold mine in Peru. The other group will read the text about the Sperrins mine in Co. Tyrone. ¿Qué piensa la gente local? ¿Qué piensan ustedes? (Explain to your students that in some countries in Latin America often the formal usted is used more than the informal tu that is common in Spain). Groups then take turns to present their summaries. What are the similarities between the situation in Yanacocha and the Sperrins? Can you think of any differences between what the people in Yanacocha and in the Sperrins might face? 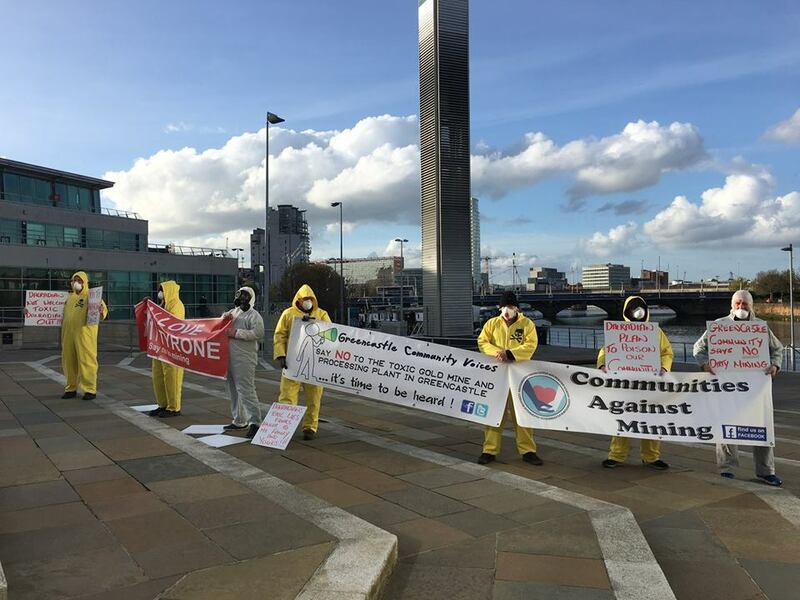 Save Our Sperrins activists protesting at Belfast’s Waterfront. Open a discussion in the class on the following questions. ¿Les gusta a ustedes el oro y los diamantes? ¿Por qué/no? ¿Por qué a la gente le gusta el oro y los diamantes? ¿Qué podemos hacer para evitar problemas en la compra y la extracción de minerales preciosas? Students discuss what they can do in their communities to help communities in Peru and Tyrone who are facing off against big extractive industries.